Pat Byrne from Todmorden, Yorkshire, raced F1 on and off between 1966 and 1988, in between racing in the Mod Stox formula at New Brighton. 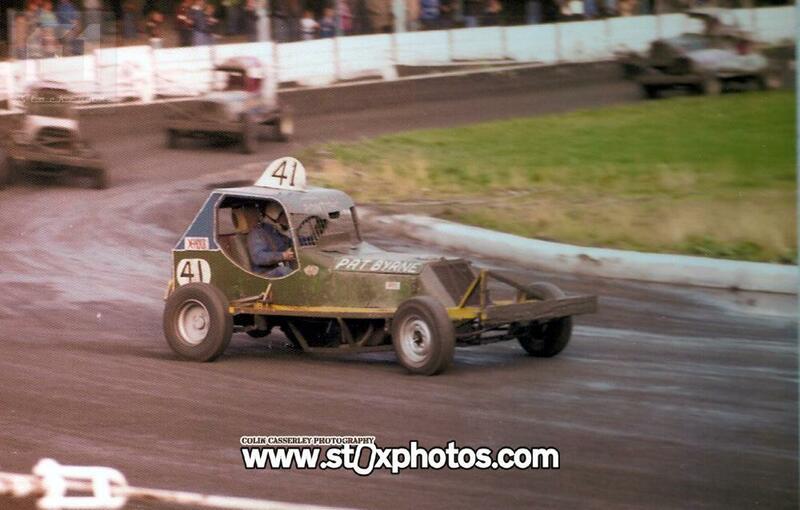 For most of those years he raced as number 310, but for the 1977 and 1978 seasons, he switched to 41. Equally at home on shale or tarmac, Pat excelled on the rough and bumpy Nelson track, winning three of his career five finals there.